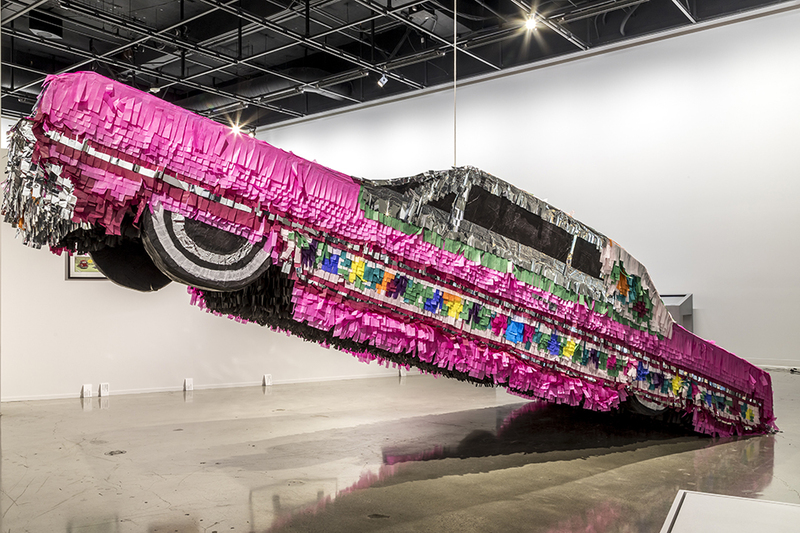 The High Art of Riding Low, at the Petersen Automotive Museum in Los Angeles, features sculptures, paintings, installations and, of course, lowrider vehicles. Photo courtesy of Petersen Automotive Museum. 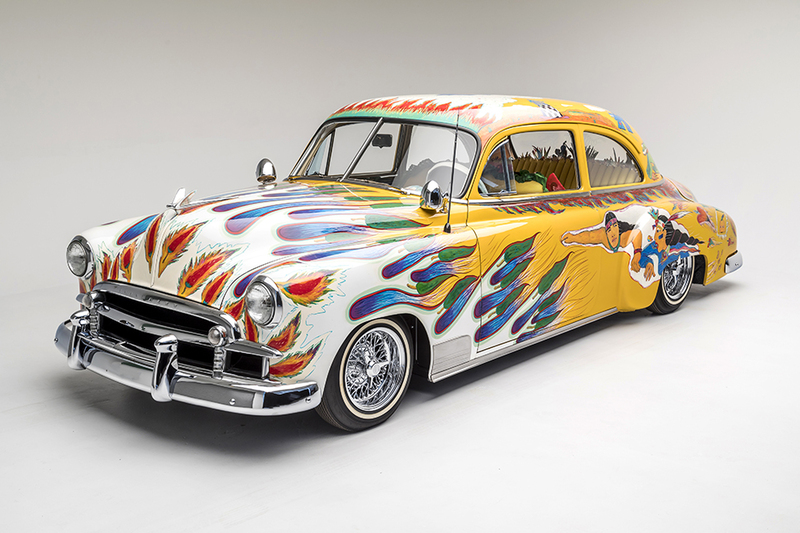 California State University, Northridge professor of Chicana/o studies Denise Sandoval is curating a new exhibit on lowrider cars, The High Art of Riding Low, at the Petersen Automotive Museum in Los Angeles. 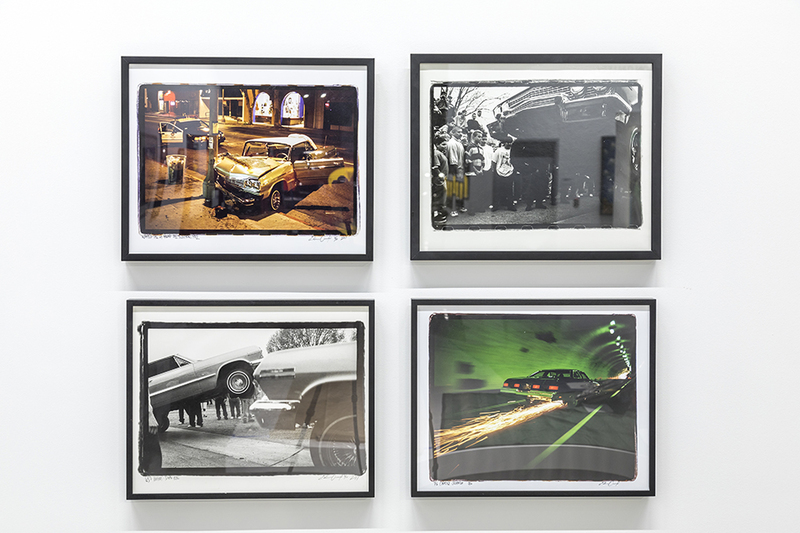 The exhibit features sculptures, paintings, installations and, of course, lowrider vehicles as art. 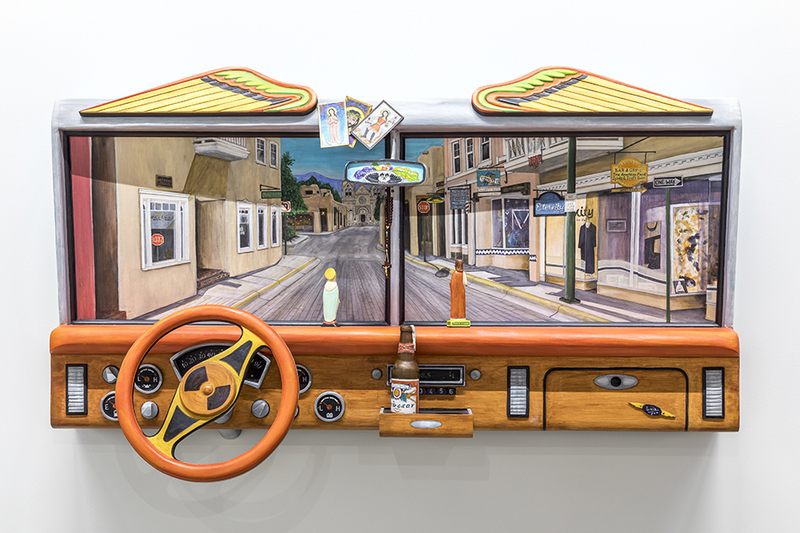 The term “lowrider” has a dual meaning, said Sandoval MA ’95 (Chicana/o Studies), who previously curated the Petersen exhibitions Arte y Estilo (2000) and La Vida Lowrider: Cruising the City of Angels (2007). As all cultures do, the lowrider lifestyle holds certain values and beliefs, including “pride, respect, corazón (the Spanish word for heart), family and brotherhood,” said Sandoval, who in 2003 completed her dissertation on lowriding traditions at the Claremont Graduate University. The professor noted that the opportunity to curate this exhibit has special significance for her because of the overlap of the subject matter in her personal and professional life. According to the Petersen website, the exhibit will run through June 2018, in the museum’s Armand Hammer Foundation Gallery. For more information, please visit petersen.org. ← CSUN Alumnus Justin Emord Takes His Passion for Music to Washington D.C.